We present a quantum circuit representation consisting entirely of qubit initialisations (I), a network of controlled-NOT gates (C) and measurements with respect to different bases (M). The ICM representation is useful for optimisation of quantum circuits that include teleportation, which is required for fault-tolerant, error corrected quantum computation. 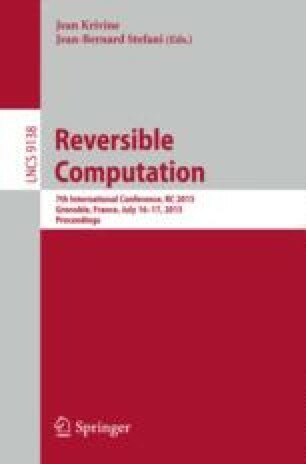 The non-deterministic nature of teleportation necessitates the conditional introduction of corrective quantum gates and additional ancillae during circuit execution. Therefore, the standard optimisation objectives, gate count and number of wires, are not well-defined for general teleportation-based circuits. The transformation of a circuit into the ICM representation provides a canonical form for an exact fault-tolerant, error corrected circuit needed for optimisation prior to the final implementation in a realistic hardware model.